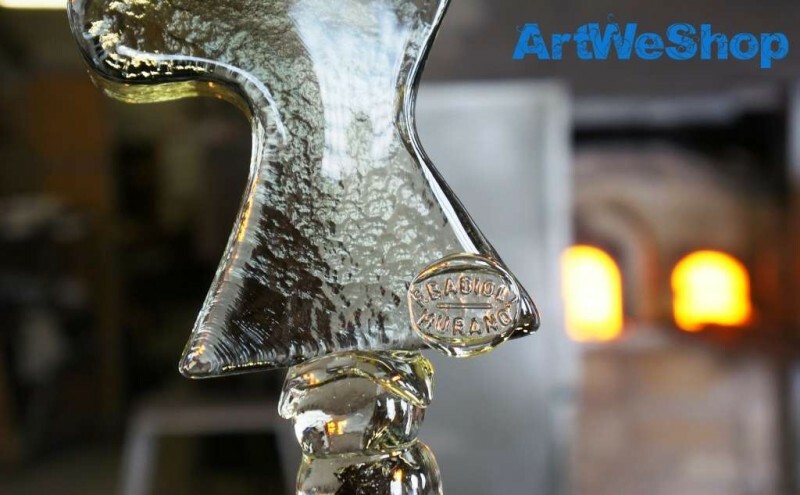 Like great painters, Mr. Badioli uses a special mix of colors (glass powders) to obtain the final signature colors of the sculptures. 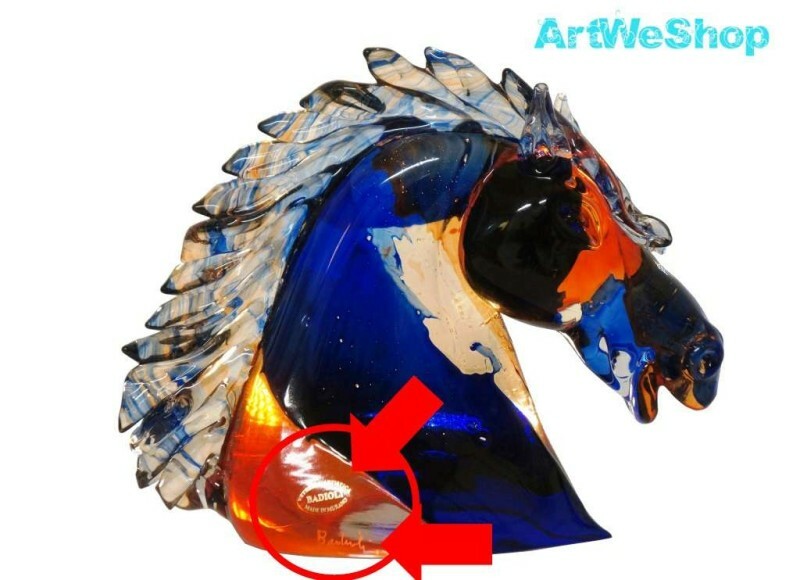 Original Badioli sculptures are signed by the artist and you can find the sticker of the atelier on them (displayed in the image). 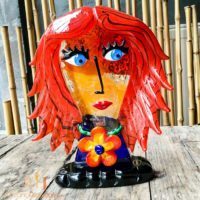 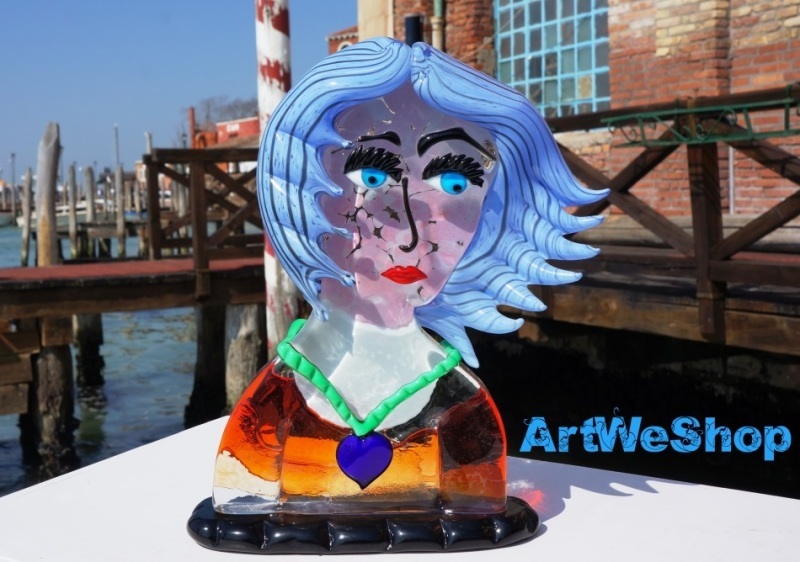 Furthermore, a certificate of origin is provided in the form of the internationally recognized Vetro Artistico Murano sticker placed on the sculpture. 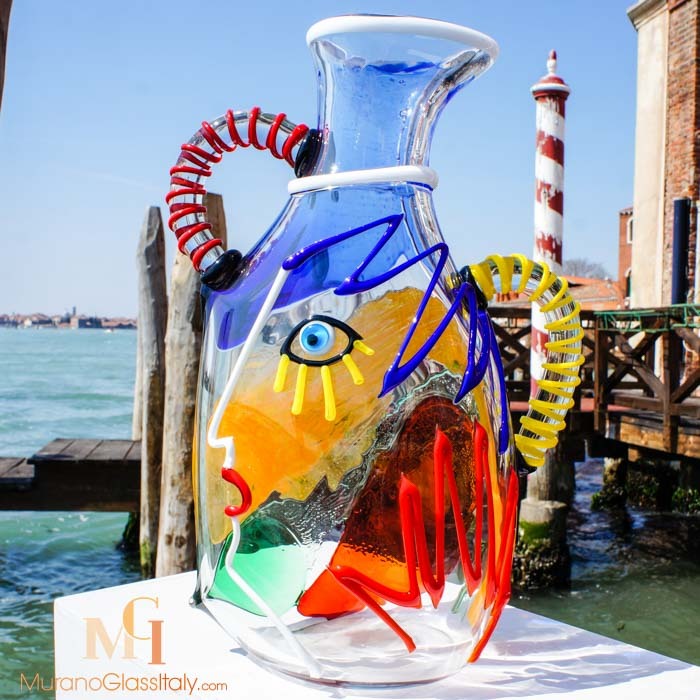 The final element which defines an authentic Badioli sculpture is the Badioli Murano seal hot printed directly on the glass. 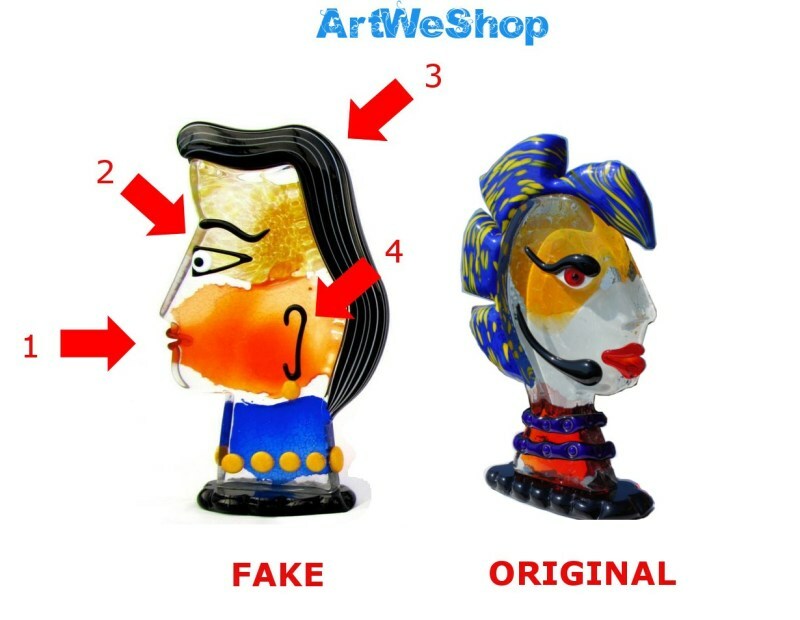 In the summer of 2015 Badioli has established this additional proof of authenticity. 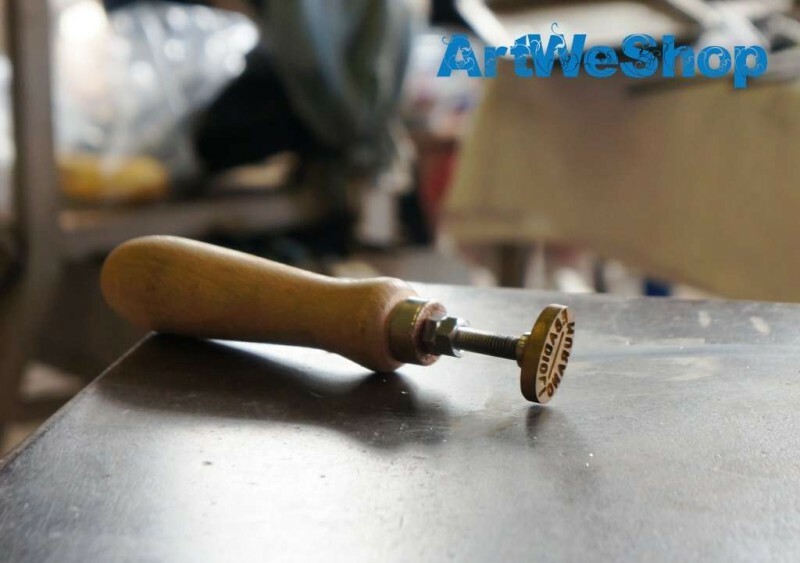 On the side you will be able to see the seal normally imprinted on the right-bottom corner of each Picasso Head.